It is with great sadness we have to announce the passing of John Healey, son of Donald Healey. As you might remember, John supported our revival passionately and came to see the cars under construction in Bacchus Marsh (see Newsletter 002). Our heartfelt condolences go to his wife Joy and to his daughter Wendy and his sons David ad Graham and their families. Now that the Historic races at Phillip Island, Australia have come and gone and the Austin-Healey Endurance car has made its public debut it’s an appropriate time to introduce ourselves to its owner, Bruno Verstraete from Switzerland. Most of Victoria had been in drought for many, many months and I would say that over the weekend of 14 and 15 March 2009 there was more than enough rain to make up for it. In fact it was more like the storm scene from Shakespeare’s “King Lear” with the rain almost coming down vertically with the force ten gale. On the Saturday night tents and marquees were seen heading their way towards the Southern Ocean and some cars were damaged. What was not damaged was the Endurance Car that simply looked gorgeous. Living some 600 miles to the north it was the first time I had seen the car and the first thing I noticed was how well the solid 16inch Dunlop Racing wheels and tyres filled the wheel arches. The car was simply just stunning. But anyway I did manage to interview the players in this wonderful venture. Living some 10,000 plus miles apart I hadn’t had the pleasure of meeting Bruno before, although we had exchanged a zillion emails. 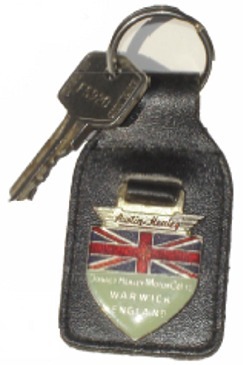 So being a long term Healey and Austin-Healey owner myself I was interested in how he became involved. 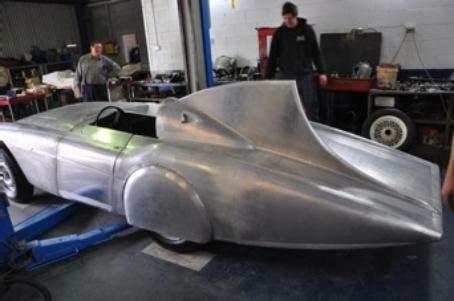 I then asked Bruno how he became involved with the reconstruction of the 1954 Bonneville cars. After seeing how his car was coming along through the marvels of email I had to ask what Bruno’s first thoughts were. Perhaps a few final thoughts are appropriate. 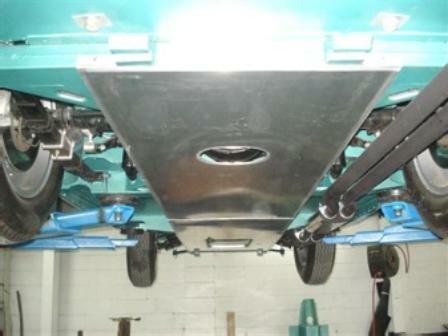 Endurance car undertray to provide less resistance on the Salt. 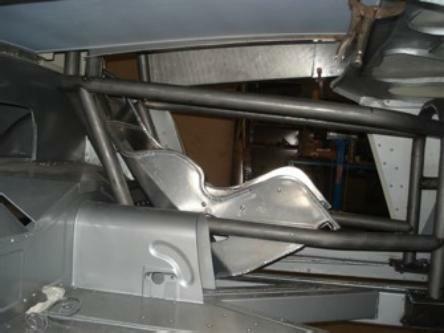 The full roll cage and racing seat being implemented in the Streamliner. These are 2009 regulations. 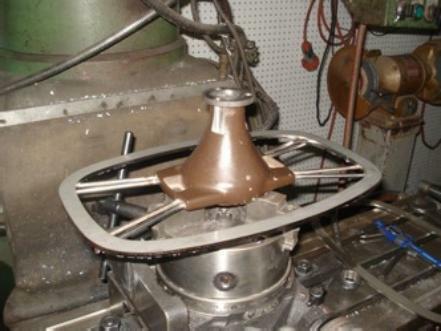 One of the details being reconstructed : Streamliner Steering wheel.